The recent attacks on al Noor and Linwood mosques in Christchurch left the world in shock. New Zealand, considered one of the most peaceful countries in the world, was left shaken and heartbroken after the largest shooting massacre in its history. Thirty years prior, 13 were killed in a gun attack. New Zealand has not experienced such brutal showings of violence since that time. Over the past three decades, a new threat has emerged that has made devastating events like these more widespread. Social media has allowed the world as we know it to expand and completely change the landscape of every aspect in our daily lives. The mass shootings were live-streamed on a popular social media forum that endorses hate speech, portraying the gunman’s casual and nonchalant actions before murdering dozens of people. The gunman left a link to his Facebook live stream on this platform, along with links to his “manifesto.” Within this 74-page manifesto included traditional ideologies of the hard right: fascism, xenophobia, racism, and Islamophobia were key points that were entangled with internet jokes, meme culture, and meta-humor. This peculiar demonstration of extreme white nationalism and hatred seems to highlight how social media and the internet played a role in birthing this attack. While white supremacy and similar forms of hatred have always existed, society needs to contend with technology’s role in spreading this prejudice. Technology has now existed long enough for an entire generation to be raised on radical and extremist politics online. Extremism has never had an algorithmic nudge that slowly moves viewers to more eye-popping and attention-grabbing videos as it does now. After the massacre, some people attempted to copy and post the gunman’s live stream of the massacre on other platforms to spread the gunman’s message. Twitter, Tumblr, Instagram, and Facebook all worked to rapidly take down copies of the video, but the number of uploads from hundreds of different users made it impossible to keep the video offline, only further spreading the hatred the gunman was trying to create. 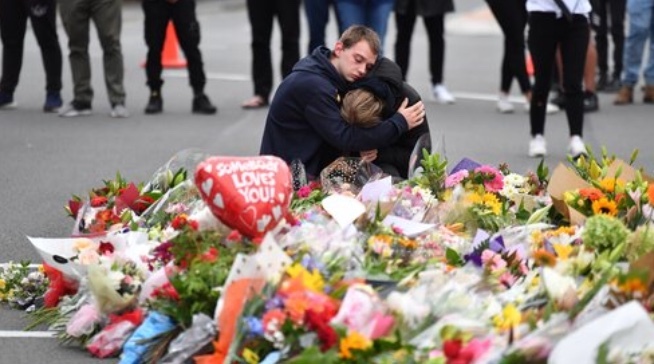 New Zealand, still grappling with the devastation in the wake of this attack has vowed to tighten gun laws across the country, with Prime Minister Jacinda Arden stating that her cabinet has made the decision to restrict gun ownership. One in every three citizens in New Zealand has a weapon, according GunPolicy.org, the international firearm injury prevention and policy source. As a heavy hunting nation, New Zealand has failed to tighten gun laws. Prime Minister Arden’s proposed legislation is expected to focus primarily on the banning of semi-automatic weapons. While the country may be able to limit the effects of guns and other firearms, the restriction of social media and its advancement of terrorism will be another challenge altogether.